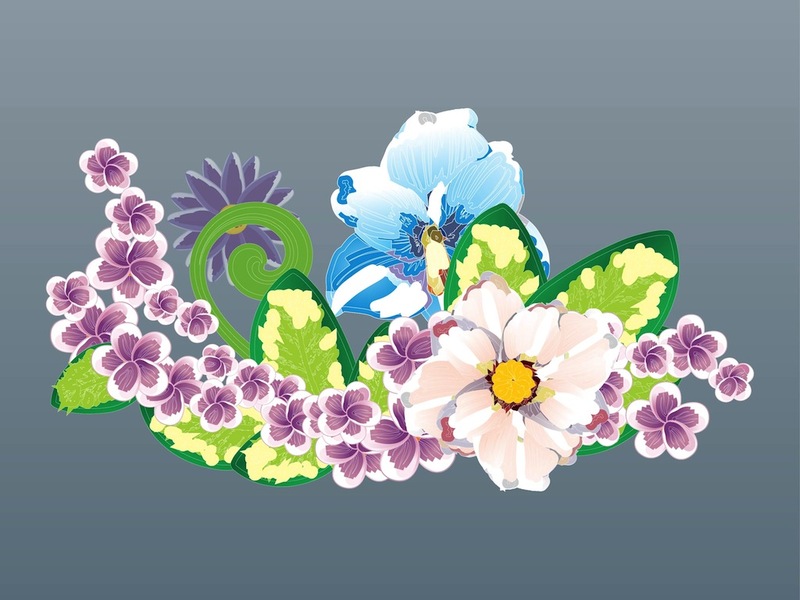 Vector illustration of a wreath composition made out of many different flowers and plants. Long lines of small violets, bigger flowers with colorful petals, rounded big leaves and swirling stems. Free vector illustration for all spring, flowers, floral, plants, nature, garden and bouquet design projects. Tags: Bloom, Blossom, Flowers, Leaves, Petals, Plants, Spring, Swirls.